The Travel Hags will visit the Crumpton Auction – the largest weekly auction in the world. This Travel Hag Adventure is set for Wednesday, August 7, 2013 and is open to any hag who’d like to join us. 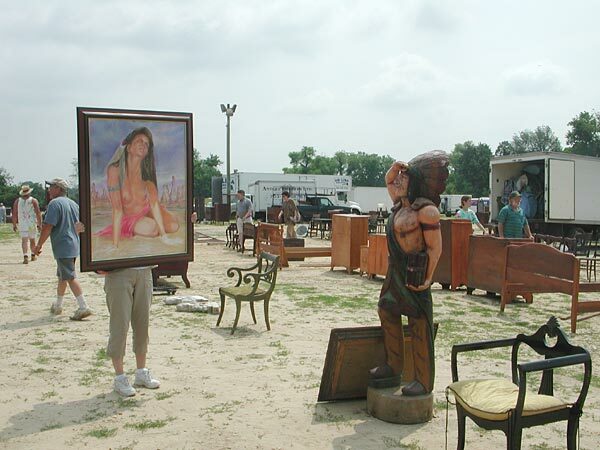 The Crumpton Auction is located in Queen Anne’s County not far from the Bay Bridge. 3 to 4 auctions are run simultaneously and over 200 items are sold each hour starting at 8:00 through the afternoon. Items range from household items, antiques, collectables, jewelry, coins and whatever else you could possibly imagine. There is NO Buyer’s Premium at Crumpton Auction. Read our post about the auction, how it works and see some photos at Crumpton Sale – the World’s Largest Weekly Auction. RSVP: email tours@travelhag.com to let us know you’ll be there. HAGMEN: Welcomed, but must be brought by a hag. All women are welcome on Travel Hag Adventures. If you like the activity and you want to get to know some new girlfriends – sign up. Everyone pays her own way. Traveling with girlfriends is fun. Credits: Photo Copyright by Julie Mangin. All rights reserved. Used with permission.